Healthcare is never without a need for statistics. They’re needed for research. They’re needed for test results and diagnosis. You need them for lead generation. Event marketing – Whether you’re just participating with your own trade show booth or organizing the whole thing yourself, you’re likely to use statistic in your presentation. If the attendance has been expanded with the presence of hospital managers and professional doctors, all the more reason. Video marketing – Putting up a video is an increasingly popular way to attract searching prospects. The standards of good video though are a mix of optimization and use of a viewer’s time. The video shouldn’t be too long which is why statistics make for good content. They’re small and easily presented in well-understood visuals. However, that’s pointless without the actual numbers. Infographics – Speaking of visuals, more and more website marketers are employing the use of infographics. But just like videos (perhaps even more than videos), these require a lot of data for graphs, pie-charts, etc. But be warned, prospects also have a lot of their own personal resources to test their reliability. You have to make sure that the numbers that you present pass their test. Social media – People say that the internet has increased the amount of available information and that social networks are the pinnacle when it comes sharing it. Looking at how it works, it does make sense. Publish the results of a single research on a Facebook wall or on Twitter and it spreads to over hundreds and then thousands of users all around the world. Familiarize yourself on social media, engage with people in the same B2B medical business as you are. You’ll definitely find a useful amount of popular statistics to back up your presentations. News and current events – Following behind social media, you can also go straight to the usual sources of news outlets and online articles. Keeping an eye out on televised news and even reading the local newspaper also helps. Statistics are likely to be in even higher demand in the news industry compared to yours. That’s enough to earn them your attention. Personal research – You can also conduct a little bit of research on your own. For example, you can start run a telemarketing survey targeting your own customers. The reason why this can be cost-efficient is that there are a lot of telemarketing companies available for low-cost outsourcing. Hearing your customers’ feedback directly is not only authentic, you can compare your results to that of the rest of your market. Don’t be intimidated by the amount of resources people use for statistical research (even in the healthcare industry). Chances are, the tools they use to generate their numbers are the same ones you use for medical lead generation. And if you look at the bigger picture, it’s almost like a self-sustaining, self-evolving machine. Your marketing tools and strategies can be used to generate the statistics you need to improve them! In healthcare, precision can be critical to the success of a cure or an operation. In healthcare telemarketing, the need for precision still remains. But instead of tools and medical analysis, businesses who support the professionals and institutions in the healthcare industry must answer and ask the right questions in order to get more precise information. Now even though people will argue that B2B telemarketing may not be able to gather such large volumes of information compared to big data, it can use questions to get the precise answers that are often sought out in B2B. Just like patients, not all businesses want the same solution. Some health leads will have unique traits those businesses will take interest in, say, a medical device or a form of management that you don’t normally market. You will never know that though unless you ask and answer the right questions. Answering – Inbound: You set up a website or spread a few ads. These ads generate responses from curious doctors or facility managers. From answering their questions properly, you can raise their interest until it’s high enough for them to be qualified. Unfortunately, you might miss out on other possible problems that could have been uncovered if you only asked. Asking – Outbound: Asking the right questions challenges prospects to test the limits of their knowledge and resources. Realizing these limitations could potentially convince them to take you up on your business offers. The downside to this is that prospects have more difficulty trusting someone who just asks them questions and won’t answer theirs. Again, combining the strategies centered around both asking and answering completes the whole process of engagement that is vital to the sales process. It not only maintains the trust of your prospects, that trust grants you access to more precise information that sales can use to propose effective solutions. Make sure your B2B telemarketing services both ask and answer the right questions! In B2B, acquiring sales leads needs both speed and quality. You need speed so that your salespeople have a consistent source of opportunities. You need quality so that each opportunity has a good chance of success. That’s the gist of it. The quality part can get a little complicated, which is why the sales process can still take a while. But no matter how much you need to speed it up, you’ll only send yourself speeding into disaster if your marketing and lead generation don’t have the right timing. For the healthcare industry, there can be glaringly obvious moments that warrant cautious marketing. It doesn’t necessarily mean that your prospects are completely closed off but it does mean they can be closed off to certain techniques if you just rush in. (It could even land your business in trouble later!) Qualifying these sales leads requires more subtlety than just speed. Even if your haste is based on the need to improve healthcare, rushing in like that will work contrary to those intentions. These moments are usually when your target practices and institutions are at their busiest. Perhaps in other industries, such activity can be read as a sign of high productivity. In healthcare though, the reasons can get much more serious and the gravity of the situations could make it highly inappropriate for any overly-direct marketing stunt. Times of crisis – Epidemics. Natural disasters. You can even include wartime. This might sound controversial at first but in fact, it’s just common sense. 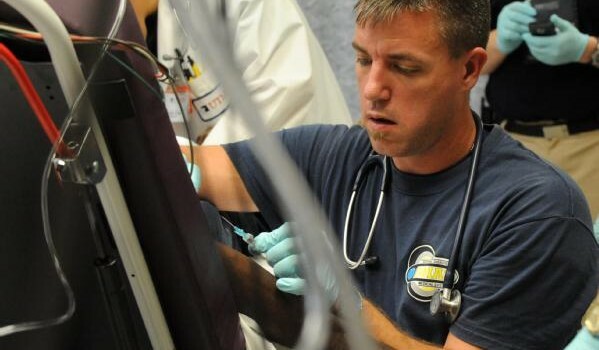 You do not want to call an organization when it’s in the midst of handling entries into its emergency rooms; its patient population surging after a major disaster; and its doctors and nurses scrambling to tend to the needy. Luckily, such major disasters don’t sound like they happen too often. Regardless, stop all marketing efforts immediately once you learn that such calamities are happening in the same area as your targets. Acquisition – Though not as serious as a disaster, a company that’s in the midst of an acquisition may no longer have the same structure as it did before. What you once thought was a small practice, you now realize it’s become a subsidiary or a branch of a much larger organization. The risk of marketing too directly when they’re in the middle of this process can be still seen as disruptive. The reasons could range from a prospect no longer having the budget or a change in the structure itself. When the doctor is out – What this scenario lacks in gravity, it makes up for in just being obvious. Everybody needs a vacation, including doctors and hospital managers. Even if you did call their phones, there’s a chance that it’ll only go to voicemail and then tossed without ever being heard once they get back. From the serious to the obvious, all these cases require less direct marketing approaches. However, you can still use direct marketing tools as a means to follow-up and further qualify your medical leads. Send emails asking about what you can do to help. Pay attention to anything that could show a need (e.g. like if there are products and services you can offer to further assist in times of calamity). Make a note to update your contact database when a prospect replies that they’ve been acquired and now answer to a larger party. Ultimately, it’s all about subtle information gathering, proper timing, and careful marketing. Companies who normally provide services and utilities to others in the healthcare industry do look for health leads outside it at times. The applications of certain facilities and tools can have a surprisingly vast scope. For example, medical testing services could be used in both cosmetics and the food industry. Along that same line, compliance consulting firms might have the legal resources to determine if companies in those same two industries will pass the scrutiny of government agencies. However, targeting health leads in those industries can be arguably more difficult than targeting niche sub-industries that still fall under healthcare. The latter at least share a basic pool of medical knowledge. When it comes to increasingly non-medical B2B markets, you’ll have fewer things in common. Lack of industry knowledge – You might need to do a lot of homework on the inner workings of the industry. Uncertain relevance – Without knowing the industry, you won’t be able to see how B2B medical fits in (at least, from your prospect’s perspective). Unfamiliar budgets – Another problem could be a simple as difference in the average budget compared to other B2B markets. Step 1: Confirmation – Use your marketing resources to confirm the quality of your business list. If they’re asking why you’re calling, don’t hesitate to do a bit of marketing. The first step is to confirm not just the data but the interest of the businesses you’re calling. A multi-channel approach is highly advised but if you can’t afford it, try outsourcing some of the extra services. There’s no harm in having a few middle men. Step 2: Qualification – There will always be businesses who show interest but are just not ready to be qualified. They may not have the budget. They might still be discerning. In all cases, you have to be a little more patient. Make sure your own contact database is manageable enough to make updating easy and constant. It’s also at this stage that you need to note more specifics (like what kind of services or tools are they looking for). Step 3: Appointment setting – Use appointment setting to finalize the process. Take note, this doesn’t automatically mean a high-priority meeting that will pressure your prospect. A short phone conference or demonstration might already suffice for both your salespeople and your potential clients. The farther an industry is from your niche, the more important it is for your lead generator to practice targeting and make sure that there’s more information on your health leads before they’re qualified. Confirm their contact data and their interest; qualify and determine their needs; and find ways to finalize a meeting between your prospects and your salespeople. “Clearly, and despite all the effort and expense, healthcare remains one of our nation’s most well-endowed, yet-poorly-informed, industries, with an approach to creating evidence clearly inadequate to the needs of practitioners and patients. Still, if you think there might a be catch and that this sounds too good to be true, you might be right. The use of Big Data and the expertise required won’t come cheap (and it’s bad enough that doctors have long been saying EMR systems have only been adding to costs, not reducing them). It would be interesting though if the long-term benefits eventually do drive down the costs of healthcare. Fulfilling that promise can definitely give more healthcare organizations more cause to demand Big Data integration in their EMR. These, specifically, just might qualify as possible medical leads. How big are they? – Determining the size of your prospect’s practice identifies those who can afford to place their hopes and those who aren’t willing to risk it. How much they need it? – The promises of Big Data, as stated by Hill, sound like a wish come true for organizations that are at their wits end with their EMR data. Therefore, these are likely to have higher demand. Not everyone is willing to jump on the Big Data bandwagon just yet. They don’t all have poor reasons either. Regardless, those who have opted to employ Big Data into their EMR product shouldn’t hesitate to find new opportunities to meet new market demands. Last week, Businessweek had just reported a recent online attack on an EMR system. There’s no doubt that the event has begun sounding warning bells for both buyers and vendors in the medical software industry. If you’re a vendor, it’s highly recommended that you maintain your relations with your current customers by using telemarketing along with other communication services for improved customer support. “As more patient records go digital, a recent hacker attack on a small medical practice shows the big risks involved with electronic files. Telephone Advisories – This shouldn’t be automated with a static advisory. Both managers and private doctors are likely to hang up from that kind of robocall. Instead, use a real person to ask questions about your customer’s EMR security policy. Quickly identify problems and flaws in their use that they may not be aware of. Company Hotline – Have a call center dedicated and vigilant enough to respond to any emergency calls about EMR hacks. You can either train these agents yourself or choose from a provider with extensive experience in resolving EMR technical difficulties and attacks. Event/Webinar – Host a small event or a webinar that can help increase awareness of these vulnerabilities. Telemarketing can be used to send invites as well give a few additional tidbits on what will be covered. As for the subjects themselves, it can range from standard procedures to take in case of a hack and what prevention measures can be taken. You might even ask them to invite others who are also interested and want to be qualified as new health leads for your business. Another thing that the report highlights is that it’s only more important to consider the size of your prospect’s practice. It’s still a popular opinion that EMRs and private practices don’t mesh together especially now that the latter are facing economic difficulties as an industry. The last thing they need is a vendor who won’t be there for them in times of EMR emergencies. Think of marketing as a sort of alarm system for your B2B sales. Just as medical alerts are supposed to notify medical professionals of problems, so should your medical leads do the same for your sales team. In the case of the latter, one of the things that your lead generator should watch out for are suspicious practices and bad processes. Ethics are still an important part of business and if your company has had any direct role in enabling questionable methods and practices, it will compromise the trust of your entire market. As an example, The New York Times reported that even large hospital chains have been guilty of it. There are more specific reasons as to why your lead generation campaign should inform sales of bad processes prior to any lead qualification or appointment setting. Reducing Friction – When implementing something to the infrastructure of a healthcare institution, bad processes can more or less pose as an obstacle. The goal of certain medical tools and management solutions is to streamline procedures. An objective like that is pointless however if bad processes are anything but smooth and streamlined. Costs – The rising costs of healthcare makes the reduction of said costs a very noteworthy goal. Unfortunately, if the NYT article is any indication, the profit motive behind suspicious practices makes that goal counter-intuitive. If you want to maintain that your services are dedicated to reducing the costs of quality healthcare, make sure your prospects aren’t doing anything to compromise your balance of cost and efficiency. Integrity – Again, ethics are important in business. The trust of your entire market depends on it. If you have any on-going relationships with your customers, a loss of integrity will compromise them and they might consider another vendor or provider. The word will spread also to those previously unfamiliar with your business but now your name will be stigmatized and regarded as something to avoid. Inform the prospect – Should you learn of these bad processes while currently engaging a prospect, then ask if they’re aware of it and if they would like to hear suggestions on how to fix it. Not all those who are engaged in such processes do so with any ill-intent. Some of them can be just ignorant and your sales team can see their desire for assistance as an opportunity to demonstrate your expertise. Get outside help – If you’re unsure about your findings but have a few hunches, have marketing to leave a note asking for the insight of an outside investigator. This doesn’t mean you should blow this up into a news story (as the NYT did) but notifying authorities is never a bad idea if done quietly. In conclusion, the discovery of bad processes and practices alert you to two things: an impediment to the implementation of your products/services and a danger to your business integrity. Both should always be major concerns for healthcare lead generation. Qualifying health leads requires a gradual stream of information from prospects that is supposed guide successful sales. Information ranges from simple contact data to the more complex needs such as the benefits of your business to medical professionals. It should then naturally follow that a prospect’s past experience should also give additional insight. If a prospect has taken interest in you but has previously been doing business with another vendor, that’s an obvious sign that you’re competing. Therefore, when you’re marketing these prospects you need to focus immediately on comparison. What did your competitor do that your prospects think you could do better? Would the reason be significant for sales (e.g. your medical devices have more advanced innovations) or it could be something unexpectedly simple (you provide a service for the same quality but at a lower cost)? Awareness of competitors is already a staple in medical lead generation so consider this an extension of that. If you’ve done business before, then their feedback is critical. By the time that you’re marketing to them, it should be read as a response to that feedback. Does your new EMR address the bugs of the previous version? Were the new medical device features due to popular demand? It might not even have anything to do with either the product or the service but the way you’ve been handling their complaints and inquiries. Customer feedback is another powerful source of insight because it’s not just insight into the market. It’s insight into current customers who can keep doing business with you and reduce the pressure to pursue all new leads. Speaking of which, a prospect that has neither experience with you nor your competitors could be a complete newcomer. This can be an excellent opportunity but will instantly go bad if you’re not careful. When it comes to newcomers, bridging gaps and establishing relationships is the top priority. These people still don’t know much about the finer details of your services or the medical tools you provide. Don’t be too eager to educate them either but try to make things easy for them to understand. You obviously also need to act fast. If a competitor doesn’t get to them before you, they might just start wandering by themselves trying to steer their own buying decision without your insight. All three are cases of a prospect’s past experiences playing a role in giving insight on their present buying behavior. (including the absence of such experiences). It can even be a mix. Some might have had experience with both your business and your competitors. Others who originally had no experience will now be a new source of feedback if you give them time. Regardless, you should always give them a chance to talk about those experiences. Don’t neglect to ask questions about them when you’re telemarketing or sending emails. Use surveys and customer support as a source of feedback. 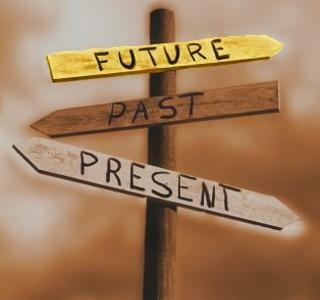 The past will always affect the present. Medical Lead Generation – Assert Your Industry Expertise! One of the risks encountered in any medical lead generation campaign is a lack of industry expertise. Then again, this is exactly why you need to stay competitive and not just count on marketing efforts to substitute for quality medical tools and services. Once you’ve got that covered, why is it still important to assert such expertise? Doesn’t it come off as bragging? Can’t you just let the results speak for themselves? The problem is some prospects might insist that they can get by on their own without caring for results. They believe they know enough about what they need in terms of technology and skills required to handle it themselves. Medical lead generation is supposed to either keep this from happening or at least minimize the damage that will result from this behavior. Yes, you read that right. This attitude could land your prospects in trouble. But first, why do some of them feel so confident about their decision to ignore an industry expert such as yourself? The real reason is because many healthcare customers from B2B to B2C have more sources of information. Most of it is attributed to the Internet as well as the increased capacity for businesses to gather data. As far as healthcare is concerned though, there is still plenty of room for an expert’s view and plenty of room for these new information sources to be in grave error. For example, you have EMR/EHR technology. Many doctors and hospital managers doubt their usefulness. However, those who do still tend to have a poor understanding of it because they’re still medical professionals first and IT experts second. It’s the same case with vendors of medical electronic equipment like alerts, measuring devices, and imaging hardware. They’re doctors first, engineers second. A few google searches might not suffice so you need to bridge the knowledge gap between your expertise and theirs. This is what it means to assert your industry expertise. You need to show you know more about your own field than what your prospects’ sources tell them. And if you’ve invested in the technology and the skills a lot longer than they have, then you’ll definitely be right. It’s not just a call to improve the overall quality of your business but asserting that quality, that industry expertise. Medical Events – You can either join one or organize one yourself. Either way, use the event to help demonstrate what you know. The internet has not only allowed information to disseminate but misinformation as well. Setting up a booth or an entire program dedicated to dispelling these misconceptions can shows that you know better. Try to maximize the turn-out and inform both doctors as well as regular people on the flaws of these misconceptions. Email and Web Advisories – Another way to counter medical misconceptions is to do it in closer proximity to the source: the internet. Set up a website filled with brief but informative FAQ pages. Your emails should have similar content. You can also leave a phone number and outsource a medical call center for those who want further clarification. Ask Critical Questions – If you’re marketing more directly (e.g. B2B telemarketing or email marketing), try to ask questions that are of a slightly higher grade and it would take more than a quick search through Wikipedia just to answer. Also, don’t hesitate to use it as an opportunity to create awareness of prevalent medical issues (e.g. unsupervised medication). In B2B medical marketing, it’s important to be aware of your market’s common needs so that you won’t just be hawking your products and services without being considerate. Just as doctors are called to listen closely to their patients, so too should you listen closely to your prospects whether you’re using B2B telemarketing or any of the other forms of healthcare lead generation. Speaking of which though, are you aware of what doctors ideally want from any B2B healthcare service? Doctors are supposed to serve patients. Therefore, if you’re going to offer something that helps with that work, then their concerns should be your concerns. That means you should worry about their patients as much as they do. So, what are the specifics of actually putting that into action? Well, obviously you need to know how well your products and services are helping them serve! B2B telemarketing just happens to be a very convenient means of acquiring that information. For example, are your diagnostic kits serving their purpose when the doctors are evaluating patients? Have the measuring devices you’ve sold given accurate data? Is your EMR being used meaningfully? Telemarketing can help you ask those questions and get answers. You see all of this is centered around your relationship between yourself and doctors but at the same time, there’s a direct connection with the latter’s relationship with their patients. If the tools and technology end up doing more harm than good, it’s not just the doctor’s who’s in trouble. You’ll also get caught up in the scandal because you’re the one who sold those things to them! Below are just some of the ways you can help gather information to make sure that your well-informed about how your products and services are faring. The sooner you know about their needs, the sooner you can learn to serve them better by helping them serve better as well. Prospect Engagement – If you’re looking for entirely new customers, be warned that a single call may not be enough. You have to pay attention to any specific details that are unique to that single prospect. That’s the tricky thing about B2B. It’s much, much harder to generalize customers. Generalizing is especially dangerous if you have multiple services and your customers are looking only for a few. Save your breath and learn to listen first! Call Center Support – Call centers can offer multiple services just for inbound marketing alone. You can use it to generate permission to call a prospect. You can use it to answer incoming inquiries alongside customer service. And speaking of customer service, a call center can expand the channels with which your prospects and current customers can contact you if they need anything else. It’s another way of learning about how your products and services are doing to support doctors in their work. Getting feedback from current customers can serve to help you get more medical leads basically because it’ll tell you how to help doctors serve better.